worse, Simon has broken everything already. Science Fiction what I read almost exclusively during my young years, but as I aged my library expanded to include a wide variety of genres. I leapt at the chance to review The Path as it was a return to a genre I love, but in a subgenre I had not explored - "Cyberpunk, a subgenre of science fiction in a future setting, noted for its focus on 'high tech and low life'. It features advanced technology and science, such as information technology and cybernetics, coupled with a degree of breakdown or radical change in the social order." The challenge for the writer is obvious - you must display strong technical knowledge. It just can't be faked well. For the reader, the writing is much more complicated. There is a lot of information to absorb. Sometimes philosophical discussions also arise. If you're looking for just escapism, this might not be the genre for you. If you enjoy being offered ideas to challenge your mind in addition to a SciFi story line, then you've come to the right place. 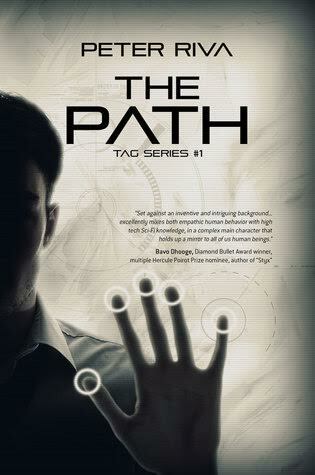 The Path offers an alternative future where a computer keeps everything in North America running as it should. It appears that the citizens of this country have achieved a sort of utopia - something not shared or allowed in the rest of the world. 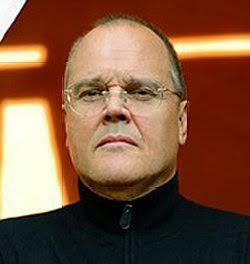 Simon Bank's job is to try and improve the functioning of the system by making it more human in it's responses. Several surprises arise as breakdowns begin to occur and lies begin to surface. He finds himself being blamed and has to run, struggling to stay ahead of pursuers. The question arises, has this computer become sentient. He says yes and wants to protect this new being. Others fall on both sides - yes and no. Then a larger question of sentience arises on a truly global scale. We as humans tend to look for a biological body before we embrace sentience. The Path challenges that view on more than one front. Want to know more? You'll just have to pick up a copy. Peter Riva writes books in his spare time on two topics: Sci-Fi and Africa Adventure. He spent many months over 30 years in Africa, many of them with the legendary guides for E. African White Hunters and adventurers. He created a TV series (78 1-hour episodes) in 1995 called Wild Things for Paramount TV. His writing passes on the fables, true tales and insider knowledge of these last reserves of true wildlife.